My name is Emma de Ronde, I am a corporate partner at Norton Rose Fulbright Hong Kong, having moved to Hong Kong from London in 2014. I am married with a 4 year old son, Benjamin. I have always enjoyed playing sport from school age. I started playing when I started secondary school in the UK at the age of 11 and played throughout my school career and then joined the university team at Kings College London. After we finished university, myself and a few of the other team members who had graduated at the same time decided to start a Kings College “old girls” squad and we joined the Kent League in the South East of England. When we started, which was around 2002, we had to start in the bottom division – over the years we worked up way up and ended up playing in the premier division growing the ladies squad to two teams. I played with the First XI squad for 10 years, after which I gave up, to have Ben and then moved to Hong Kong. After arriving in Hong Kong, a friend asked if I would join a sixes tournament during the summer at the Hong Kong Football Club. After playing with them, I tried out for the Hong Kong Football Club ladies hockey squad and started playing for the Ladies C team two years ago. We have won the first division of the Hong Kong Hockey Association for the last two years! Norton Rose Fulbright is a sponsor of the Hong Kong Football Club Hockey Division and I supported that initiative. We were approached by the Hong Kong Football Club about sponsorship and took it to our business development team. They liked the concept because hockey appeals to a wide base of people, both local and expat and men and women, adults and children. Playing in the humidity and heat is a different ballgame (sorry about the pun) altogether! In London I played in freezing temperatures and a lot of rain – playing a physically demanding sport when it is 35 degrees out and 100% humidity is incredibly challenging. We start training in August which is never fun! It does mean when it comes round to winter and the temperature drops you feel very fit! In London I played with a lot of players around the same age as me. In Hong Kong the players are mixed in age, we play with some of the cubs (14-16) and the oldest players in our team are over 40 – players change as they get older (and gain experience) and you have to adapt the team to the different skill sets among the younger and older players. As any team sport, hockey requires players to work together, trust each other and succeed as a team. Much like in a law firm, successful teams are those who work well together and know how to support one another. You feel a great comraderie playing as a team and you are all “in it together”, similar in a way to office dynamics. One of the reasons I love playing so much is that when you play 100 percent of your mind and focus is on the game, there is no room to think about other worries in day-to-day life. 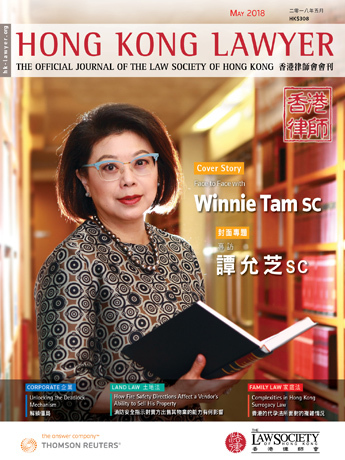 In that sense, it is a great stress reliever – something very important if you want to survive in a legal career! The older I get, the more I recognise the impact of mindset on sport performance, of course physical fitness and skill play a big part but as a team we can play very differently depending on the mood of the team. It is important to go into a match positive but hungry to win and mindset of the team plays such a big part in the outcome but also the nature of the game. It also helps to be physically fit and strong – I spent a long time after having a baby building up my core strength which I think is just as important to being a good player as the cardio fitness. 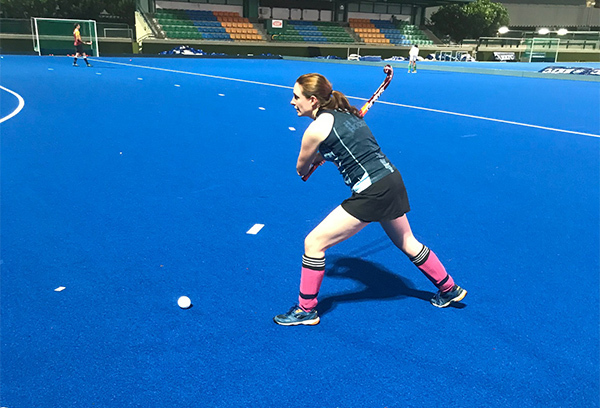 I hope to carry on playing as long as I can – some of the ladies in other teams are well into their 50s and one of the men’s teams has players in their 70s – if I can last that long I will be doing well!